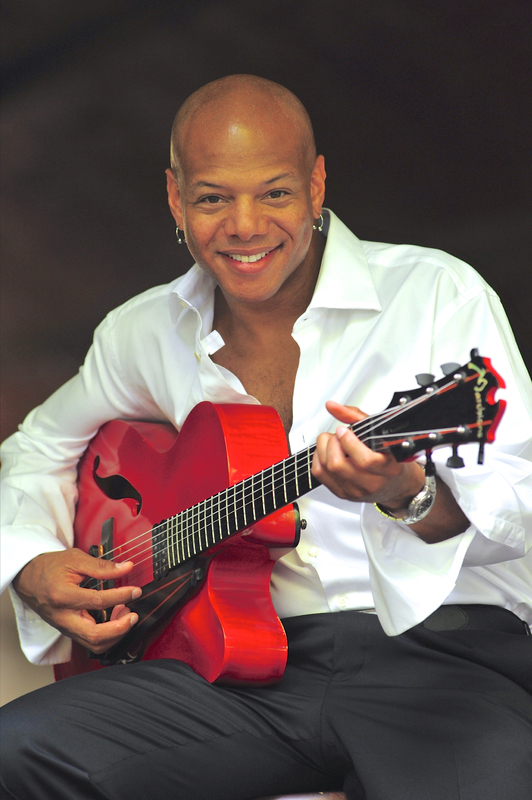 Born in York, Pennsylvania in 1965, Mark Whitfield grew up in Long Island, the youngest of five brothers and sisters. There was plenty of Jazz around the house, and one of his brothers, a blues fan, gave him a guitar along with a Lightnin’ Hopkins album the day of his seventh birthday. Mark took some private lessons, switched to acoustic bass during grade school and, after listening to a George Benson TV appearance in 1977 he took a decision: I heard it, and that was it – I wanted to play like that. After his family moved to a small town outside of Seattle, he joined the high school jazz band: his progress was so rapid that he was soon offered a scholarship to attend the Berklee School of Music in Boston. After graduating, Mark moved to New York, where he had a day job as a stockbroker while playing the Jazz Clubs at night. One of his first important jobs was with the after hours house band at the famous Blue Note Club. This allowed him to play with older, more experienced musicians, and helped him to develop a more personal style. 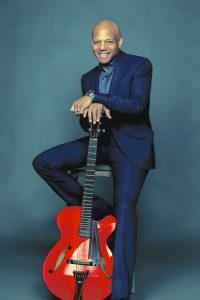 Amongst the musicians he met at the Blue Note was his all-time idol, George Benson, who took a liking to the aspiring young guitarist and recommended him to Jack McDuff. Mark became Benson’s protégé and spent many evenings jamming at his mentor’s private studio in New Jersey. 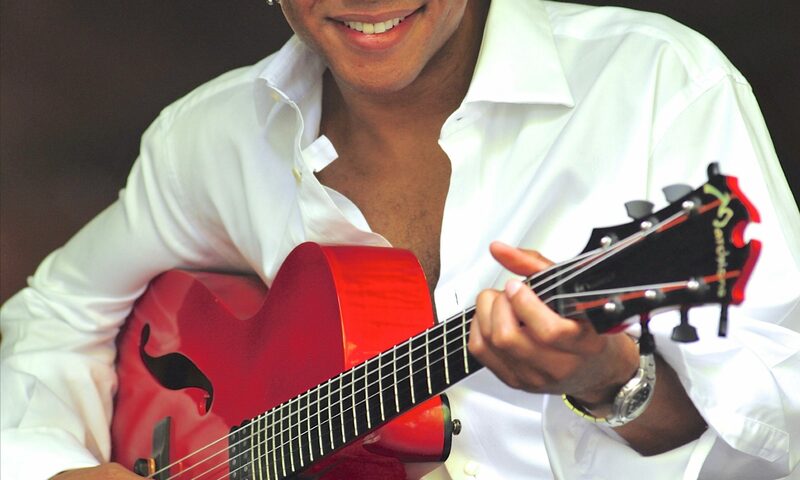 As a result of the popularity awarded gained while amassing this impressive resumé, Whitfield was dubbed “The Best Young Guitarist In The Business“, by The New York Times. Producer Tommy LiPuma, who was working as Benson’s A&R man at that time, got Mark his first recording contract with Warner Brothers. For Warner, Whitfield did three CDs: The Marksman (1990), Patrice (1991) and Mark Whitfield (1992). In 1993, Mark was signed by Verve: his first CD for the label was True Blue (1993), followed by 7th. avenue Stroll (1995), Forever Love (1997), Fingerpainting (1998), and Take the Ride (1999). He has also recorded two albums for Transparent Music, Herbie Hancock’s label: Soul Conversation and Raw (2000). In 2005, Mark joined the faculty at the Berklee School of Music, teaming up with Joe Lovano, Ralph Peterson, Danilo Perez, and Terry Lynn Carrington as “Artist in Residence”. While maintaining a teaching schedule that required his presence on campus one day a week for fourteen weeks/per semester, and a touring schedule that included at least 100 concert dates per year with trumpeter Chris Botti, Whitfield still managed to remain active as a solo artist, and published the stylistically expansive Mark Whitfield Featuring Panther in 2005. In 2009 he paid homage to longtime inspiration Stevie Wonder on Songs of Wonder, and then earned a Grammy Award nomination for his work on Kenny Garrett’s 2013 effort, Pushing the World Away. In 2017 Whitfield released his “Family Band” album Grace, showcasing his sons drummer Mark Whitfield, Jr. and pianist Davis Whitfield. 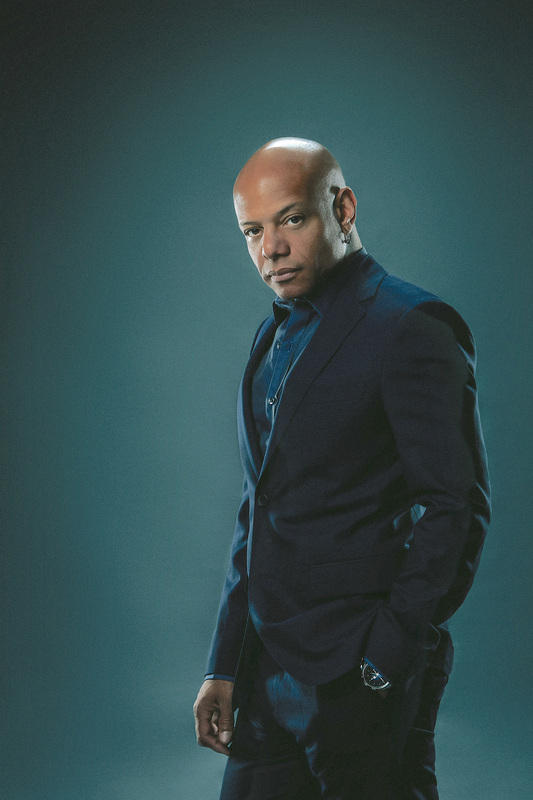 Along the way, Whitfield’s musical interests began to expand, taking him out of the realm of traditional jazz and into collaborations with popular music superstars like D’Angelo, Mary J. Blige, Take 6, The Roots, Chaka Khan, Al Jarreau, George Benson, B.B. King, Ashford and Simpson and the great Quincy Jones. Mark’s music has also found its way into the world of television and feature film. These projects include twelve episodes of the ABC television series “Moon Over Miami”, performing with Wynton Marsalis on the soundtrack for the film “Tune In Tomorrow”, starring Peter Falk, and for one season of NBC Television’s “Shannon’s Deal”, performing the soundtrack and making cameo appearances with Harry Belafonte and Jennifer Jason Leigh in the Robert Altman film “Kansas City” and performing with Terence Blanchard on the soundtrack for the HBO film “The Soul of the Game”. In addition, a Whitfield original composition entitled “The Blues From Way Back” ,taken from his cd “The Marksman”, aappears on the soundtrack for the feature film “One Night Stand” starring Nastassia Kinski, Wesley Snipes and Robert Downey Jr.
An extremely intelligent and creative player, Mark Whitfield is one of the leading forces of contemporary traditional Jazz.